NAVSoM is the training depot for the service men and women who would serve the US Department of Defence as musicians. As the name suggests, the school is run by the Department of the Navy, however, there is also a Marine Detachment at the school. The Army School of Music is co-located at the facility. And since September 2017, the Royal Bermuda Regiment’s Sgt. Sheldon Fox, has been participating in their Senior Musicians Course [SMC]. The 30-week course is designed to prepare personnel to perform the duties of the Senior Enlisted/Assistant Director/Enlisted Bandmaster in Navy and Marine Corps fleet and field bands around the world. 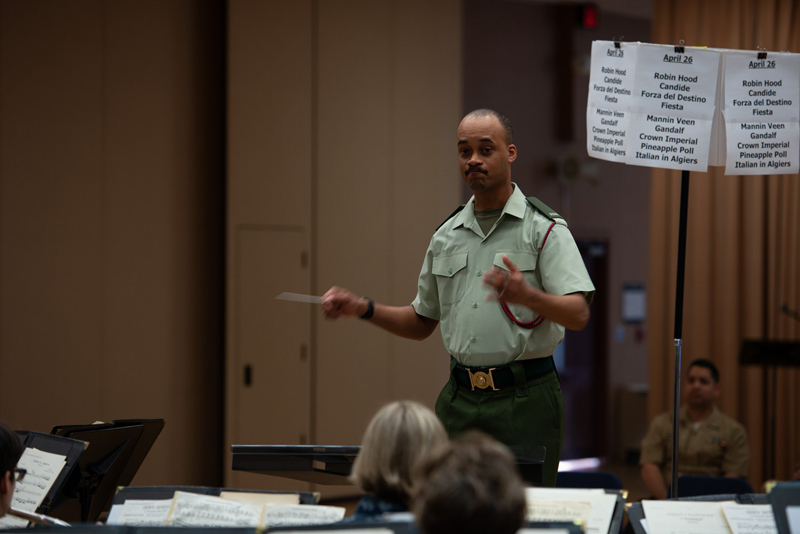 The SMC prepares students for the highest levels of responsibility through advanced score study, ear training, and rehearsal techniques. The areas of study include music history, form and analysis—the structure and design of musical pieces, composition, audio engineering, and, of course, conducting. As a note, participation in the NAVSoM is a departure from what has been the typical path toward the appointment of Bandmaster. Candidates had previously trained with the British Army and attended the Royal Military School of Music, Kneller Hall. With comparable course outlines and intended outcomes, the NAVSoM provided a practical alternative to Kneller Hall. Both programmes provide concentrated musical training and development and both programmes provide opportunities for the candidates to exercise in quality settings. In engaging with the NAVSoM, the Royal Bermuda Regiment has now proved an additional route for its musicians hoping to track toward the senior musical posts in the battalion. In the continuation of his development, Sgt. Fox will have the opportunity to work and train with other service bands around the world. These opportunities will provide him opportunity to exercise his newly acquired talents and to hone his resource management and music direction skills. Sgt. Fox returns to Bermuda in the coming weeks where he will prepare for his next training opportunity. He is on track toward the appointment of Bandmaster in the fall of 2019.